To establish, through the will of God, partnerships around the world to fulfill the Great Commission of reaching every individual, through teaching and preaching the Kingdom of God. As Kingdom Builders, our mission at Jones Ministries International is to train, equip, and produce spiritually-mature disciples that walk worthy of the Lord, fully pleasing to Him and desiring to please Him in ALL things, being fruitful in every good work, increasing in the knowledge of God, thereby fulfilling their God-ordained destiny, dominating in every aspect of life. JMI is the home of the GLOBAL TEACHING NETWORK, a prolific training/ teaching ministry and the A.I.M.S. Bible Institute, that provides various training across the world as requested. 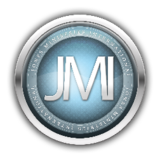 JMI also provides spiritual covering (home church support base) for ministries, outreach ministries, churches, and other Christian organizations worldwide that desire to support JMI, while also doing what God has them to do. Phase III: A facility called "The Life Center"; The Center of Life, a multi-purpose building for the homeless, indigent, and disenfranchised populations. The Life Center will do just as the name implies, give new life to those who thought it was not still possible, but with Christ, the Center of our lives, they can and will. This facility is God's manifested will in regards to providing food, lodging/housing, employment opportunities, educational opportunities, life skills training, empowerment etc. Amenities will include, but are not limited to, showers, washer and dryers, and dining area. We encourage all humanitarians, philanthropists, and businesses desiring to assist in this much needed endeavor to contact us. JMI also oversees ministries and missions work in the United States as well as in Africa. If you desire to assist financially in the mission and purpose of JMI, you may do so by clicking on the "DONATE" button or visiting the "SEED SOWING" page.